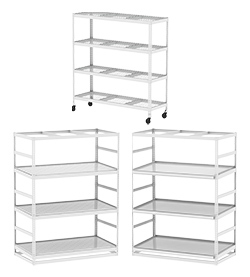 Expand your growing operation vertically with these steel units featuring special drainage components and an antimicrobial finish. Corner drains and formed dimples effectively manage runoff to maximize your water use and the flow of nutrients. Angled shelves feature front troughs to accommodate PVC drains to support your top-feed irrigation system. 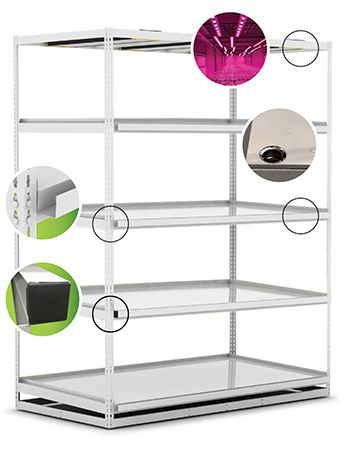 With locking swivel casters, these wire shelves allow you to transport plants through each phase of their development without disturbing the root systems. 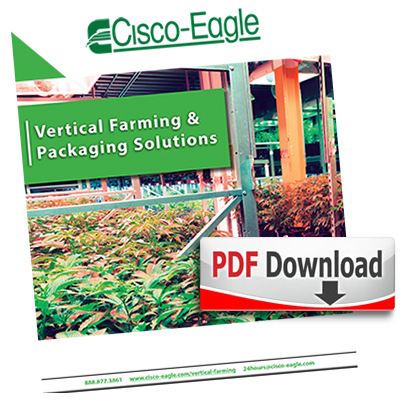 Our guide to vertical farming and packaging highlights solutions for space planning and optimization, clean rooms, security, distribution, and more. This PDF document shows you how we can help you grow your business.